Look Phelps has body hair! Good job working with the kids Mr. Phelps. Here at 30 Rock, we've been enjoying the Olympic Games, but also discussing some of the more eccentric Olympic sports. The other day as we were watching the trampoline events --which I’m sure is hard work-- it reminded me of being a child and jumping up and down on your bed, wishing it was a trampoline. Gymnasts practice before the men's trampoline final of the artistic gymnastics event of the London 2012 Olympic Games in London on August 3, 2012. One of the picture editors watching it live thought it was particularly funny when the TV camera panned to the photographers covering the event and we saw bobbing heads going up and down, up and down, as they followed the athletes with their lens. Some sports are better in video than as still images. 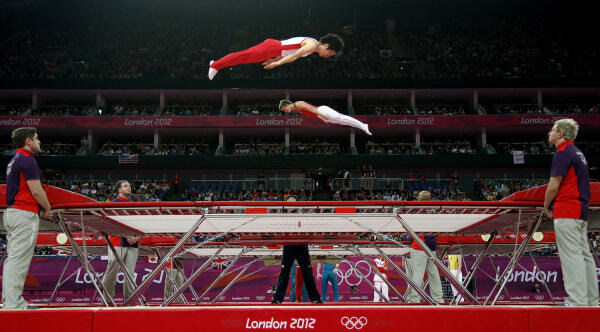 Judges watch the trampoline performance of gold medallist Dong Dong of China at the 2012 Summer Olympics, Friday, Aug. 3, 2012, in London. Another sport where a still photograph can make it look silly, is table tennis (don't call it Ping-Pong!). 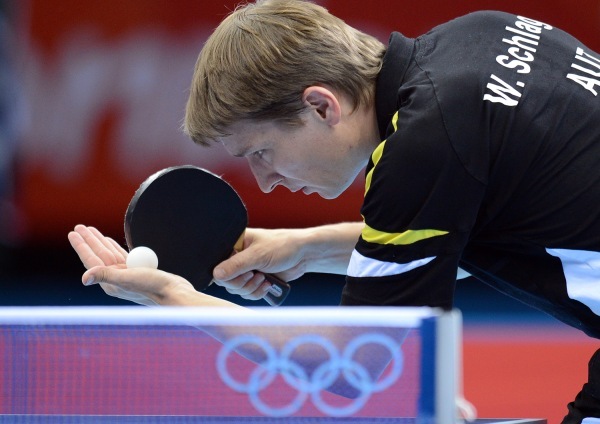 Austria's Werner Schlager serves to China's Wang Hao in the table tennis men's singles round match at the Excel centre in London on July 30, 2012 during the London 2012 Olympic Games. Maybe because the photographers like to get the ball right in front of the player's nose or eye. 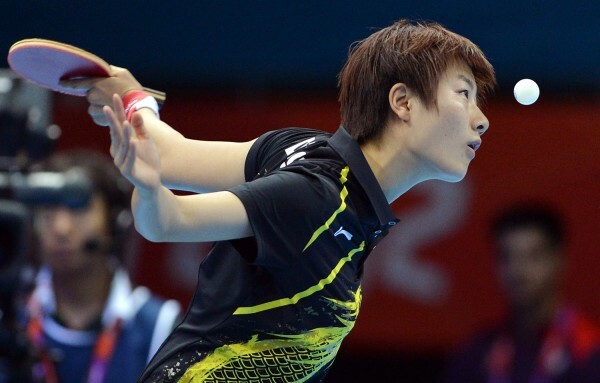 Ding Ning of China returns the ball during the Women's singles final round table tennis match of the London 2012 Olympic Games at the Excel centre in London on July 31, 2012. 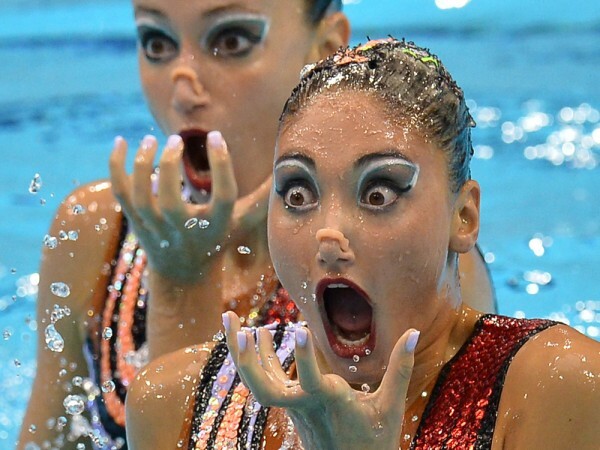 Today we were watching synchronized swimming. It must be very difficult to do - requiring not only flexibility and strength, but the ability to hold your breath for a very long time. 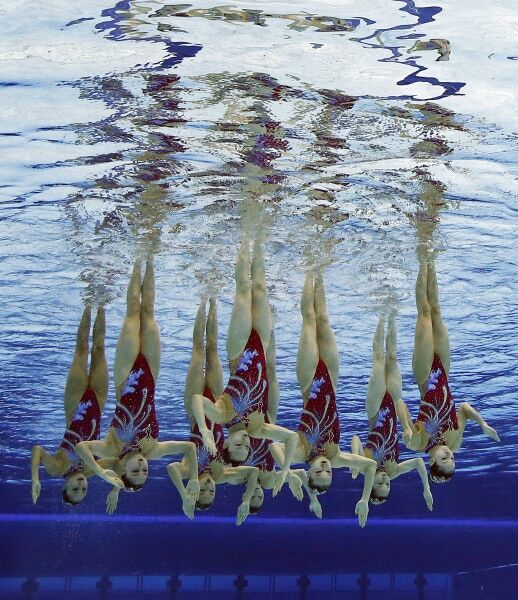 The team from China competes during the synchronized swimming team technical routine at the Aquatics Centre in the Olympic Park during the 2012 Summer Olympics in London, Thursday, Aug. 9, 2012. But something about it is strange. The views from under the water are really interesting, so maybe it's the excessive make-up they wear? 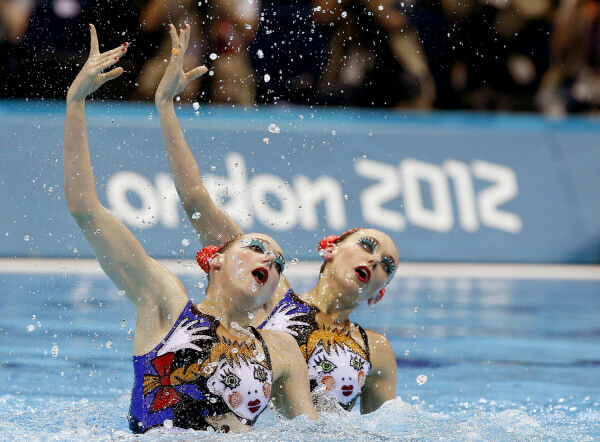 First placed Russia's Natalia Ishchenko and Russia's Svetlana Romashina compete in the Synchronized Swimming Duet Free Routine final at the London 2012 Olympic Games, London, Britain, August 7, 2012. Rhythmic gymnasts are incredible athletes, but also must be as graceful as a professional dancer. Julieta Cantaluppi of Italy performs with the hoop during the Rhythmic Gymnastics qualification on Day 13 of the London 2012 Olympics Games at Wembley Arena on August 9, 2012 in London, England. Still, it does look a bit peculiar. It feels like watching a circus performance or Cirque du Soleil, instead of an athletic competition. Evgeniya Kanaeva of Russia performs with the ball during the Rhythmic Gymnastics qualification on Day 13 of the London 2012 Olympics Games at Wembley Arena on August 9, 2012 in London, England. 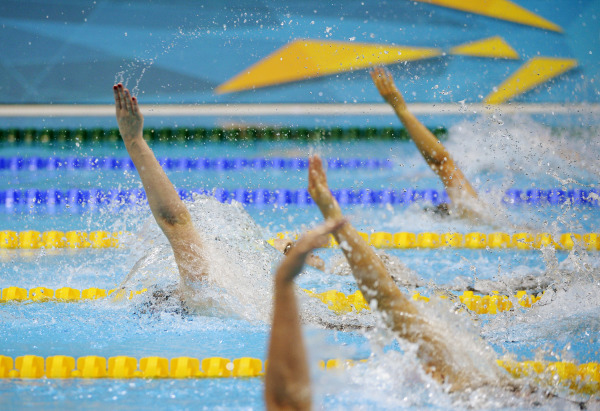 What do you think the strangest olympic sport is? Take the poll or add your comments below. Trampoline, Sync Swimming and Rhythmic Gymnastics are NOT sports and should all be removed from the summer Olympics. The ONLY thing these "sports" do is pad the Chinese and Russian medal totals. As for Ping Pong being a "sport" that one is questionable too !!! 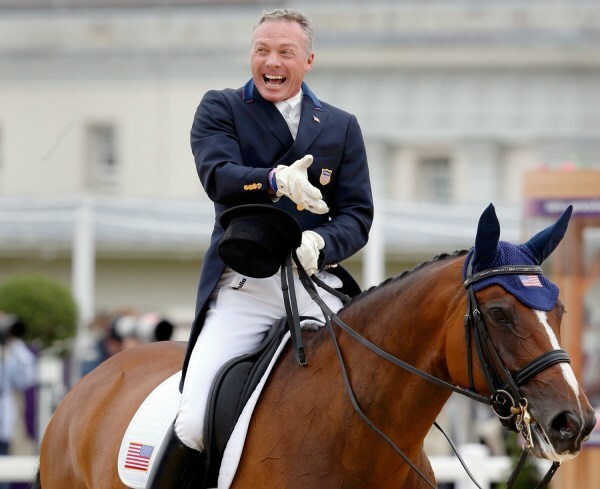 Jan Ebeling of the U.S. riding Rafalca laughs after competing in the equestrian dressage individual grand prix special at the London 2012 Olympic Games in Greenwich Park August 7. Ann Romney, right, wife of U.S. Republican presidential candidate Mitt Romney, applauds as her horse, Rafalca, competes in the equestrian dressage at the Olympics in London on August 7. Co-owners Beth Meyer and Amy applaud along side. Jan Ebeling of the United States riding Rafalca competes in the Team Dressage Grand Prix Special on Day 11 of the London 2012 Olympic Games at Greenwich Park on August 7. 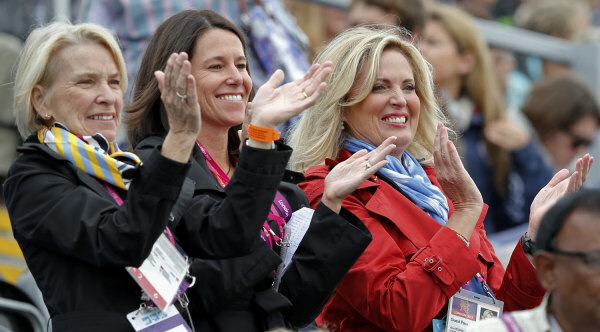 The three owners Beth Meyer, Amy Ebeling and Ann Romney watched from the stands as their horse, Rafalca, made her final appearance at the 2012 London Olympic Games. Ridden by Amy’s husband, Jan Ebeling, Rafalca’s score wasn’t enough to make the cut for Thursday’s dressage medal event. Only the top 18 move on to the freestyle portion of the competition. They all seemed to enjoy the ride – with Jan tipping his top hat at the end and the three women cheering from the stands. "It was wonderful. She was elegant and consistent again. We just love her," said Ann Romney. Republican presidential candidate Mitt Romney has received some criticism for his wife’s participation in a sport that many view as only for the wealthy and well-to-do. Ann Romney began riding as therapy to relieve symptoms from multiple sclerosis, which she was diagnosed with in 1998. 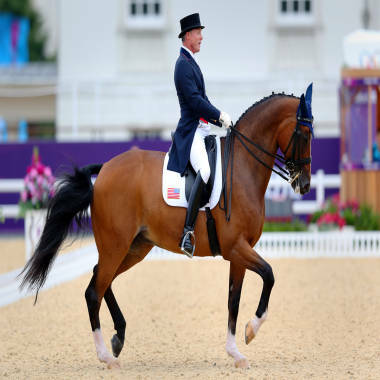 But the scrutiny has only been positive for the sport of dressage, or “horse ballet” as it is sometimes described. The attention also brought some humor and parody to a sport that may have been too serious in the past. Perhaps the attention on Rafalca will also help those who could benefit from horse riding therapy which is used for people with physical and mental disabilities. 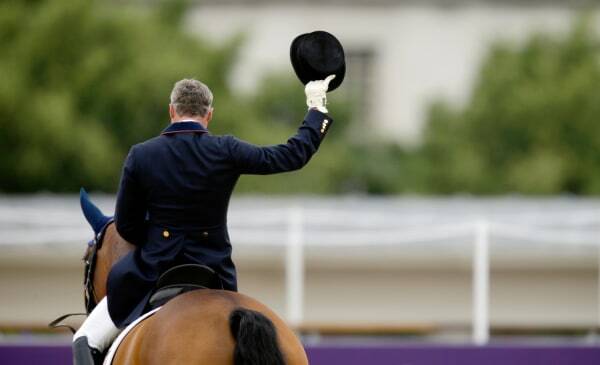 Jan Ebeling, of the United States, raises his hat after competing in the equestrian dressage competition with his horse Rafalca at the 2012 Summer Olympics, Tuesday, Aug. 7. 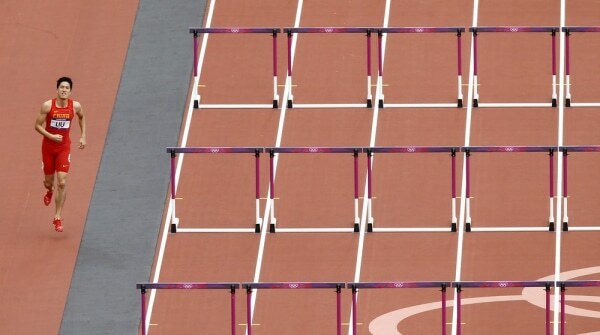 Click for more from the 2012 summer games in London. 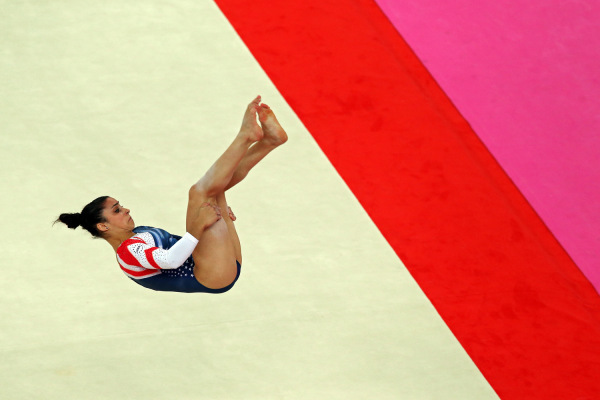 US Alexandra Raisman competes in the Floor Exercise final at the London 2012 Olympic Games Artistic Gymnastics competition, on London, Aug. 7. Alexandra Raisman of the United States competes in the Artistic Gymnastics Women's Floor Exercise final on Day 11 of the London 2012 Olympic Games at North Greenwich Arena on Aug. 7, 2012 in London, England. Alexandra Raisman of the U.S. competes in the women's gymnastics floor exercise final in the North Greenwich Arena during the London 2012 Olympic Games on Aug. 7. 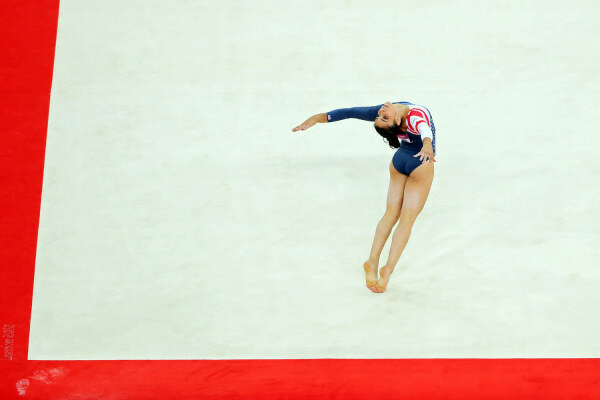 Alexandra Raisman of the United States competes in the Artistic Gymnastics Women's Floor Exercise final on Day 11 of the London 2012 Olympic Games at North Greenwich Arena on Aug. 7, in London, England. 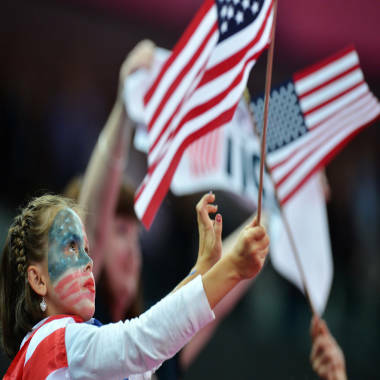 A young US supporter waves a flag after the women' s floor exercise gymnastics final on Aug. 7. 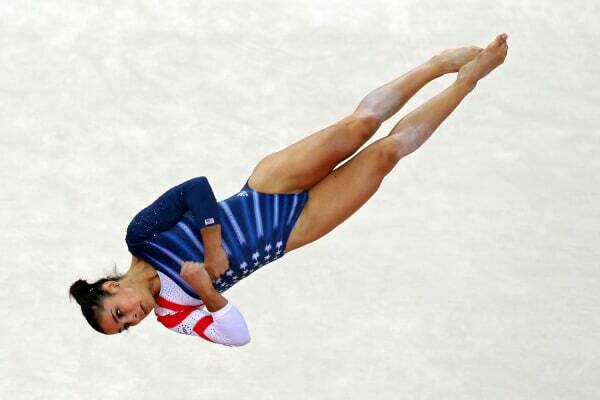 AP reports -- Aly Raisman finished the Olympics in style. 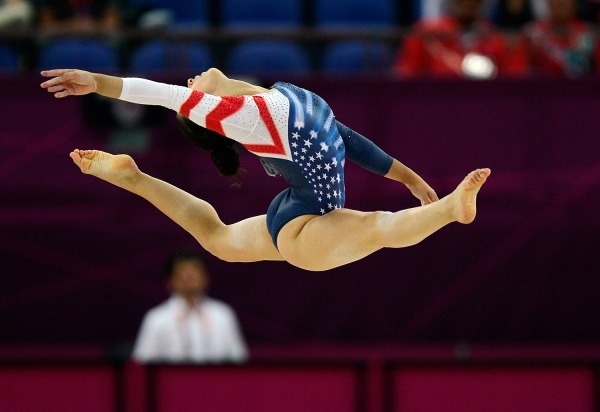 The U.S. captain matched Gabby Douglas in gold medals, winning the title on floor exercise Tuesday. 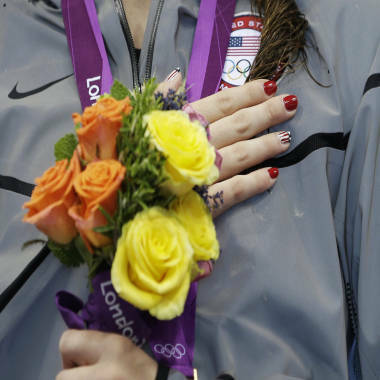 Add in the bronze on balance beam from earlier in the day, and she becomes the most decorated of the Fierce Five. 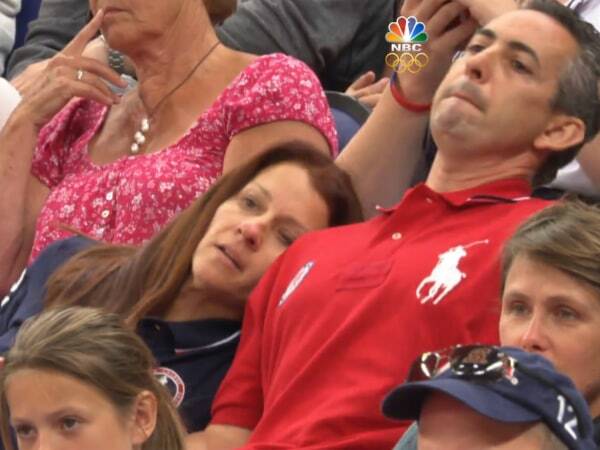 Good thing Raisman had such a big day because the rest of the Americans came up empty-handed. Douglas had another rough day, finishing seventh on balance beam after a fall. World champion Jordyn Wieber, voted most likely to leave the Olympics with the biggest haul, was seventh on floor and finishes without any individual medals. Alexandra Raisman of the United States competes in the Artistic Gymnastics Women's Floor Exercise final on Day 11 of the London 2012 Olympic Games at North Greenwich Arena on Aug. 7. Alexandra Raisman of the United States hugs coach Mihai Brestyan after winning the gold medal for the Artistic Gymnastics Women's Floor Exercise final on Day 11 of the London 2012 Olympic Games at North Greenwich Arena on Aug. 7, in London, England. Alexandra Raisman of the US celebrates with her gold medal in the women's floor exercise at the London 2012 Olympic Games Artistic Gymnastics, on Aug. 7. 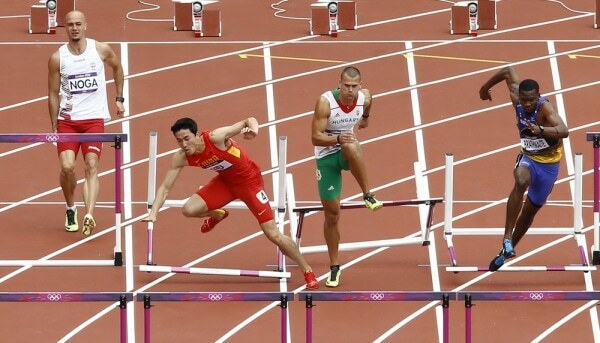 China's Liu Xiang, left, fails to clear the first hurdle in a men's 110-meter hurdles heat as he competes alongside Hungary's Balazs Baji at the 2012 Summer Olympics in London on August 7, 2012. 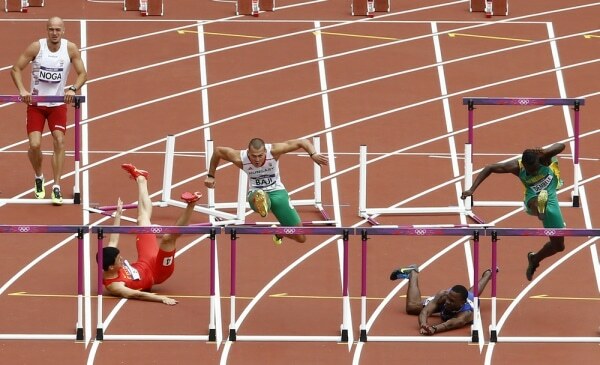 Liu Xiang, second left, and Barbados' Shane Brathwaite, right, both fell at the first hurdle. Poland's Artur Noga, left, pulled up with an injury as only five men finished the race. 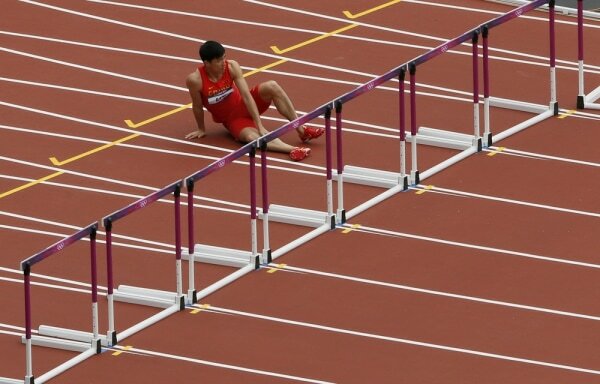 The Associated Press reports — Former world-record holder and 2004 champion Liu Xiang of China stumbled into the first hurdle and fell to the track in his opening heat Tuesday, his second consecutive first-round exit in the Olympic 110-meter hurdles. 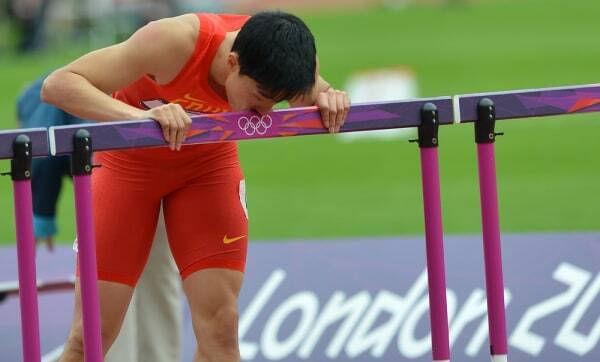 Four years ago in Beijing his Olympics ended after two full strides, when he withdrew from his preliminary heat with right foot and hamstring injuries, disappointing his country of more than 1 billion people. 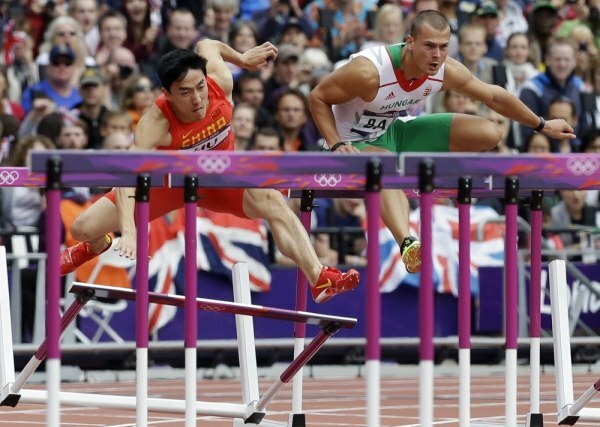 This time, Liu made it only as far as the initial hurdle, knocking it down. He clutched his lower right leg and stayed down for a few moments. He eventually rose and hopped on his left foot along the outside of the race route. When he got to the spot of the 10th and final hurdle, he hobbled over to kiss it, then continued hopping until he got to the finish line. 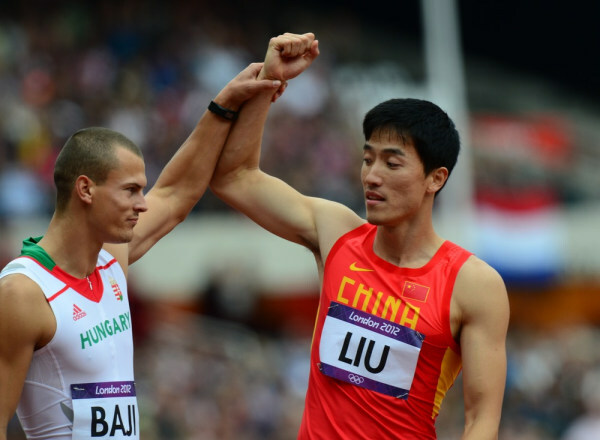 Another hurdler, Balazs Baji of Hungary, went over and raised Liu's hand in the air, as if to signify he was the winner. Then other competitors went over to offer handshakes of condolences. Eventually, Liu got into a wheelchair and was taken away from the track. Read the full story. Great sportsmanship from Balazs Baji. When you're as good as these athletes are and can respect your competitors enough to make a gesture like this, you know you belong at the Olympics. Good form. 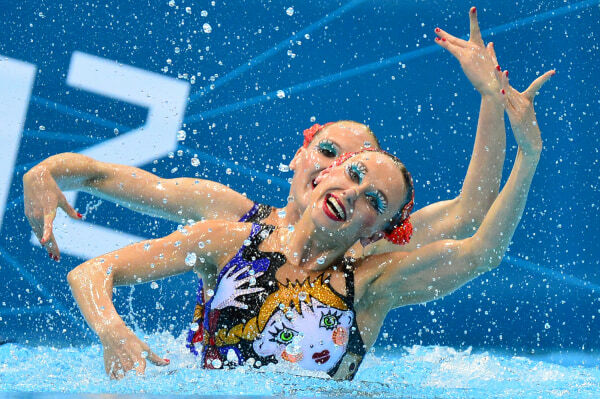 Russia's Svetlana Romashina and Natalia Ishchenko compete in the duets free routine preliminary round during the synchronized swimming competition at the London 2012 Olympics on Aug. 6. 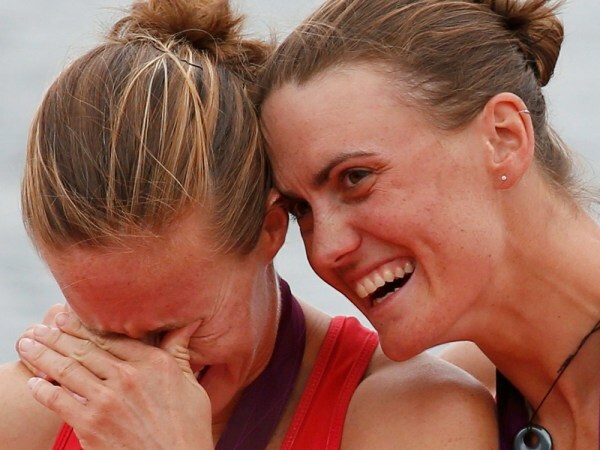 When four years of training leads up to a single moment, Olympians want luck on their side. For the superstitious ones, that means practicing rituals they know and trust. 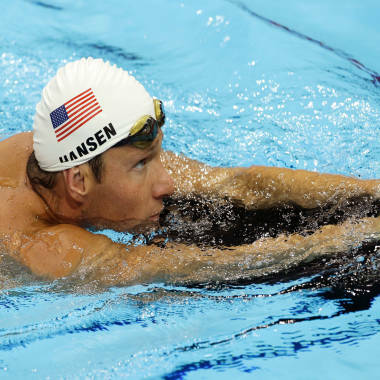 U.S. swimmer Brendan Hansen always checks the water's temperature before competing. Triathlete Hunter Kemper likely watches what he puts into his body during competition, but the night before a race, he liked to relax with one of his favorites: a slice of pizza. “It was kind of a pre-race ritual. I just love pizza anyways…so it was an excuse to eat [it],” he told TODAY.com. 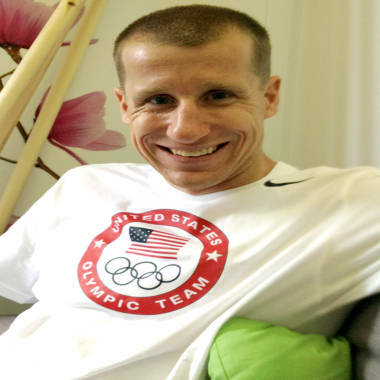 Triathlete Hunter Kemper's pre-race preparation used to involve pizza. So now that pizza’s out of the picture, Kemper said his current rule is to never train two days before his race, a practice he adopted years ago. For divers Kelci Bryant and Abby Johnston, who earned the U.S. its first synchronized diving medal, their common ritual comes down to a bath toy. A rubber duck must be good luck for synchronized divers Abby Johnston and Kelci Bryant: Their silver medal is the USA's first Olympic medal in the event. Like a real duck, Alfred doesn’t stay put. “When we train, we put him between our bags so he can watch us,” Johnston explained. The little yellow duck even made the trip across the pond for the Olympics, but he didn’t come along to the TODAY set with the divers when they appeared on the show Monday. “He’s in the village, waiting for us to return,” Johnston said. Sarika Dani and Ian Sager are covering the Olympics for TODAY.com. They've been eating press center food each day in London, but not for luck. Think they are bad? You should see Pro Hockey players. Everything from wearing specific items, to putting gear on in a certain manner, to warm up exercises, to being the last/first one on/off the ice. Rebecca Denton (rebeccasbrain on Twitter) wrote "Boris Johnson stuck on a zip line in Victoria Park. I kid you not." in her Tweet with this photo. 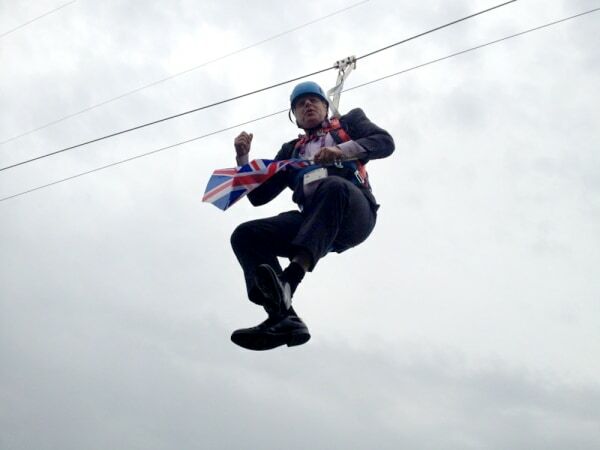 London Mayor Boris Johnson got stuck midair on a zip line Wednesday during a celebration for 2012 Olympic Games. ITV, the British partner of NBC News, reported that Johnson had to be pulled the remainder of the way by people on the ground. The Telegraph said witnesses reported that Johnson spent the approximately five minutes suspended in the air waving two British flags and leading the audience in cheering the British Olympic team. The newspaper quoted a spokesman for Johnson as saying the mayor "remained unbowed" by the incident. "The judges will rightly be marking him down for artistic impression,” the spokesman said. The cause of the incident was not immediately clear. London mayor Boris Johnson attempts to make a dramatic entrance at an Olympic party—but gets stranded on a zip wire instead. NBCNews.com's Dara Brown reports. TODAY's Natalie Morales takes a look at how Internet users across the globe put their own spin on London mayor Boris Johnson's zip-line snag near the Olympic Park. Had Bloomberg been stuck similarly, what is the chance that the people of New York would elect to leave him there? 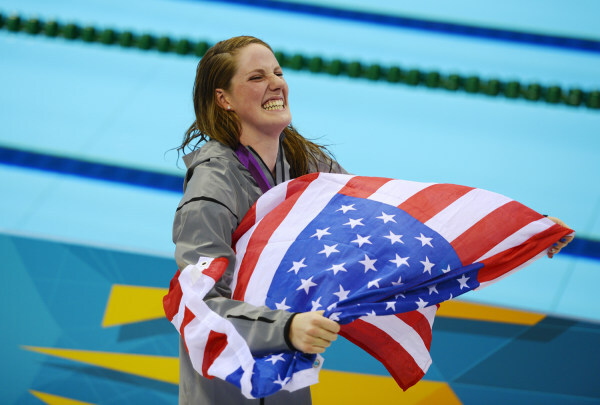 US swimmer Missy Franklin carries a national flag from the podium after receiving her gold medal after winning the women's 100m backstroke final swimming event at the London 2012 Olympic Games on July 30, in London. Missy Franklin of the U.S., who took first place, starts in the women's 100m backstroke final at the London 2012 Olympic Games at the Aquatics Centre, on July 30. 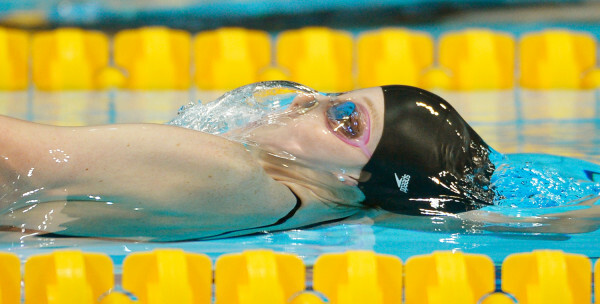 United States' Missy Franklin competes in the women's 100-meter backstroke swimming final at the Aquatics Centre in the Olympic Park during the 2012 Summer Olympics in London, on July 30. United States' Missy Franklin listens to the national anthem after receiving her gold medal for the women's 100-meter backstroke swimming final at the Aquatics Centre in the Olympic Park during the 2012 Summer Olympics in London, on July 30. AP reports -- Michael Phelps has yet to win a gold medal, and Ryan Lochte's star is fading. 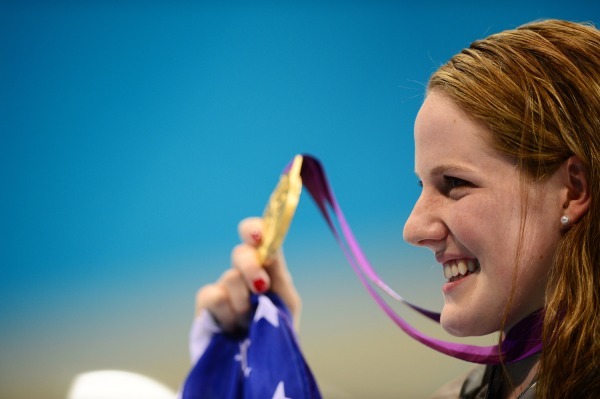 So along came Missy Franklin to restore American swim hopes with a gutty performance at the Olympics on Monday night. 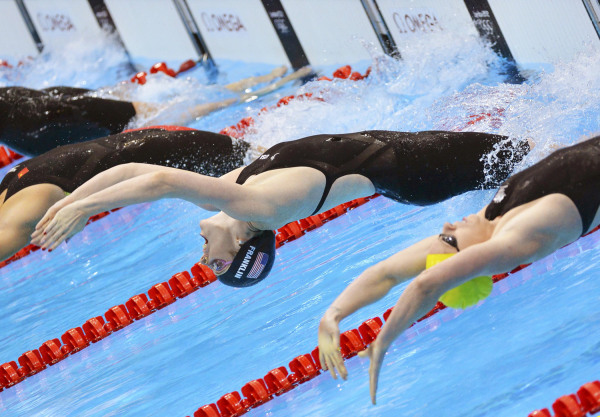 United States' Missy Franklin, left, leads in the women's 100-meter backstroke swimming final at the Aquatics Centre in the Olympic Park during the 2012 Summer Olympics in London, on July 30. United States' Missy Franklin reacts after winning gold in the women's 100-meter backstroke swimming final at the Aquatics Centre in the Olympic Park during the 2012 Summer Olympics in London, on July 30. Gold medalist Missy Franklin of the US celebrates with her gold medal on the podium after winning the women's 100m backstroke swimming event at the London 2012 Olympic Games on July 30, in London. 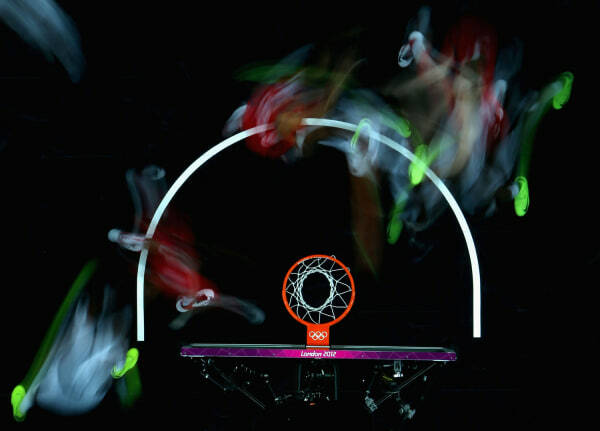 The motion of athletes streak around the basket during a Women's Preliminary Round Group A match between the U.S. and Angola on Day 3 at Basketball Arena in London on July 30, 2012. This photo was taken with a long exposure to blur motion. Lean to the left, lean to the right, squirm, cringe, cheer: For the parents of Olympic gymnast Aly Raisman, watching her compete is a full-body experience. As they watched their daughter compete at the Olympic Games, the animated, anxious parents of gymnast Aly Raisman were quite a sight - they squirmed, they grimaced, they swayed from side to side as if to guide her through her routine. 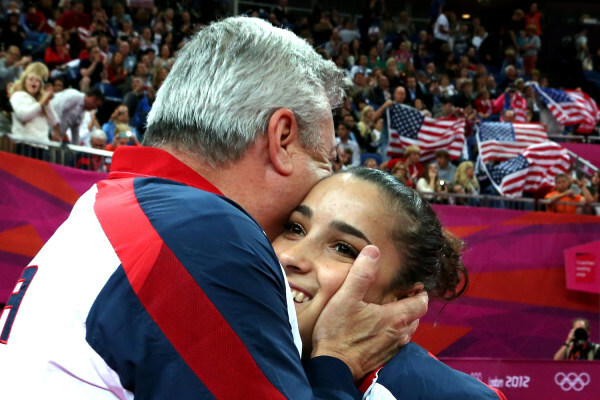 In near-unison, parents Ricky and Lynn Raisman seemed to will their teenager to “stick it” - her landing off the uneven bars, that is - and her proud dad rose to his feet and pumped his fist at the end. That's when the couple finally seemed to breathe again. While there’s no bigger stage than one decorated with the Olympic rings, any parent who has rooted for a child to make the goal, nail the pirouette or strike out the batter can relate to the anxiety of watching a child compete. Commenters on sites like Gawker and Buzzfeed are debating whether the Raismans are awesome, crazy, or some combination of the two. But many TODAY Moms said they totally relate. 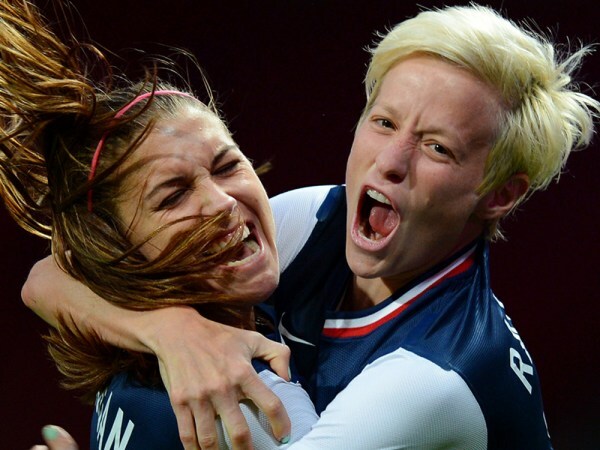 “You know they’ve worked so hard to get to the BIG moment, you just want them to be victorious!! !” she added. Lydia Arnesen Seabron knows the feeling too. “Absolutely, it’s very hard to sit still and even harder not to yell instructions,” she wrote on the Facebook page. Watching your son or daughter in a competition or game can be both joyful and difficult, says psychiatrist and TODAY contributor Dr. Gail Saltz. After so much preparation, sending your kids out to perform, whether it’s on the playing field or even taking the SATs, isn’t easy for parents. After all of the support you’ve provided, there’s nothing left to do but watch and cheer. “You may have driven them to all the practices and done everything you can do as a parent, but in that moment ... you can’t compete,” Saltz said. “It’s not your competition, so you’re helpless at that moment. What the Raismans displayed appeared to be a combination of excitement and anxiety, Saltz said, an unconscious reaction to watching their child in such a high-stakes competition. “You could almost see the physical ‘I want to be able to be doing it for her,’” Saltz said of the parents’ movements. If you get nervous during the games, she recommends talking with reasonable parents who are not overly involved, so you don’t feel alone. You can exercise before your child's competition to blow off steam, or shake off game-time worries by doing some deep breathing from the stands. While some people poked fun at the Raismans’ seemingly eccentric behavior, others saw only good. These are great parents supporting their kid. Just imagine the stress for all of them. I know families sacrifice so much to participate at this level. They must be very proud as should all Americans be of these athletes. Best of luck to all. I've had a passion for running in London for 20 years, as has my friend Sharif Nashishibi. Here we talk about why we love running in London: Our favorite places, some well-known, some not, all of them safe and easy to find. And we are particularly inspired to run in this city today... the Olympics are underway! Carol Marquis, a London-based producer for the TODAY show, takes a runner's tour around London with Sharif Nashishibi, taking in the local sights while exercising. To learn more about running in London, click here.